While getting wedding arrangements ready a few months ago, my wife commented that she would like a Photo Booth at the wedding. I immediately did what I always do, write a Python script. 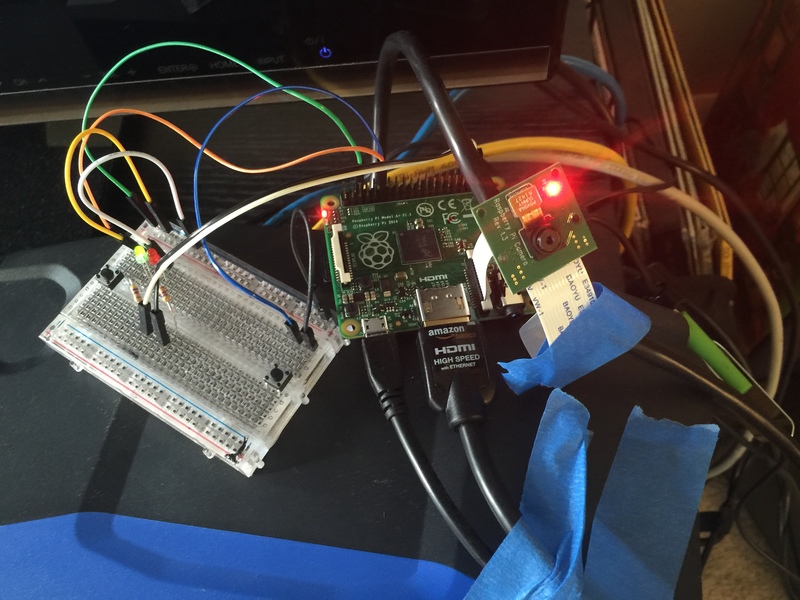 She was thinking more of a table with props and disposable camera approach, but I decided to make it into a project that we could use on any occasion and have some fun with the Raspberry Pi. I searched online thinking that surely somebody had already done this project and posted their code and instructions. 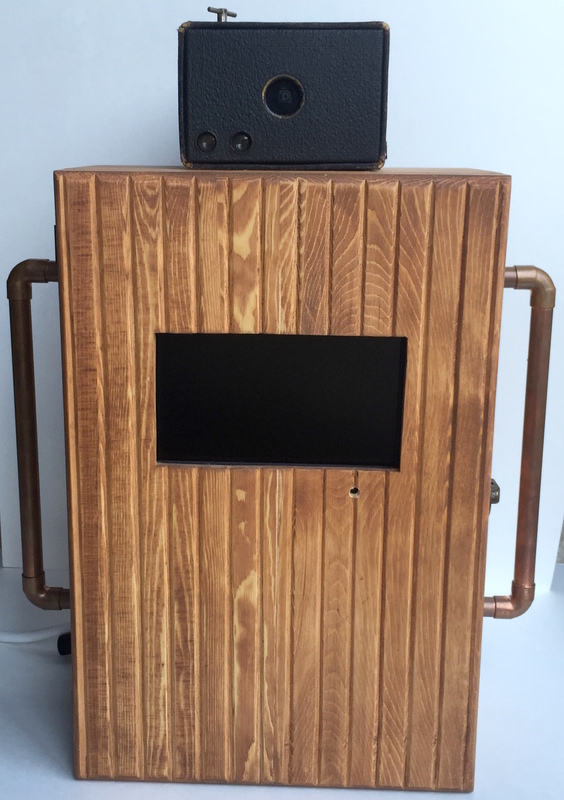 I found a few examples of Pi based photo booth projects, but none that had code attached (mostly they said "my code is awful, so I won't share") and none that did exactly what I wanted. I wanted the booth to count down, take multiple photos of the guests, and store/tweet the photos. I also wanted it to be simple to plug in and turn on with no experience required - same for shutdown. After a few afternoon coding sessions, I had the basic code and guts of the project working. A little time with some wood tools and I had a pretty decent looking enclosure setup as well! An initial prototype circuit to test the code for the PiBooth. 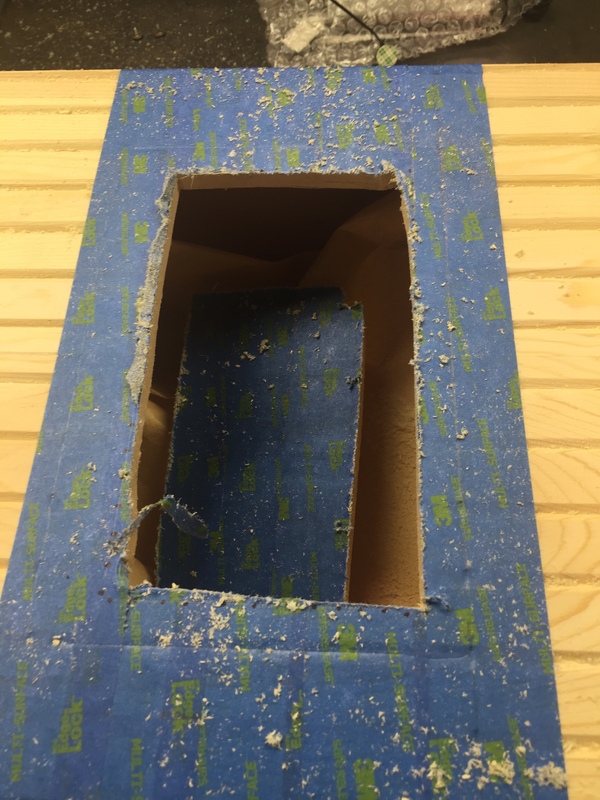 Rough cutting the hole for the photo booth screen in the shop. I wanted to make sure that everything I did was out in the open to be reproduced. 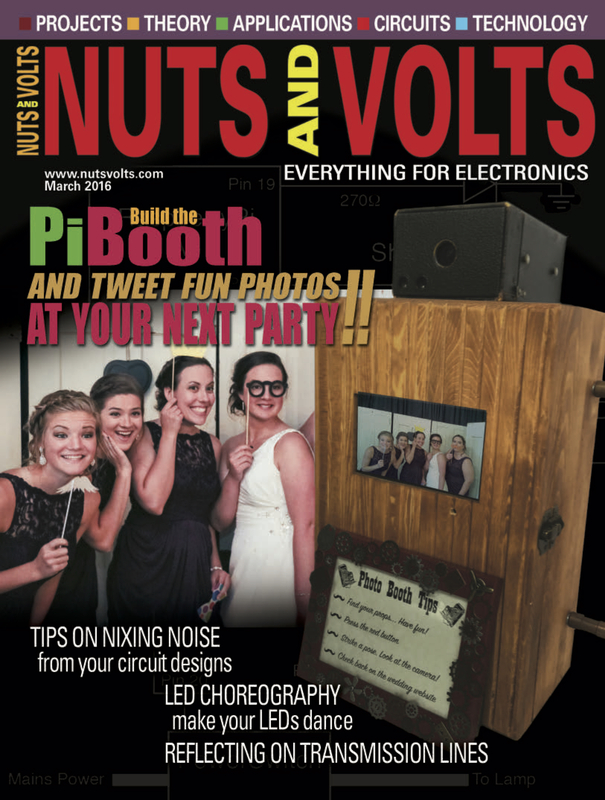 I ended up deciding to try writing a magazine article about the build for the electronics hobbyist magazine "Nuts and Volts." The editor sent me some guidelines and after a few hours I had a draft article. A couple of months passed by while we iterated on figures and ideas, but I was very excited when I was contacted saying that this article was being considered for the cover of the March 2016 issue. As you can see - it was selected! Be sure to grab a copy of Nuts and Volts (check your bookseller/news-stand) and read all of the details. You can grab the code over on the GitHub repository. Thank you to all the wonderful folks at the magazine for making this happen and thank you to my wife for letting me run wild with this project! Let me know if you build one, or a variant. The applications can range from parties/events to making an automated I.D. card station for your company! 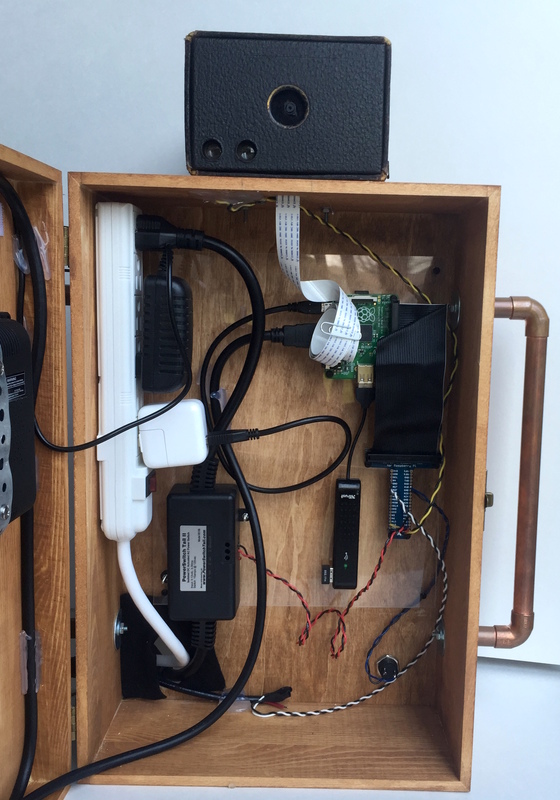 This entry was posted in Electronics, Projects, Software. Bookmark the permalink.